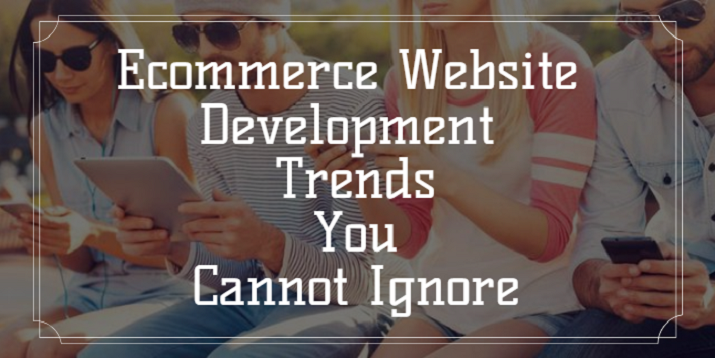 There is only one rule when you get your eCommerce website developed; follow the latest trend or create a new trend. Yes, New and innovative designs that provide way easy user interface and better navigation are always welcomed. So, for your assistance, we have chalked out some of the best and latest e-commerce website development trends that are a rage. You can also get the great website designed by a professional e-commerce web app developer as well. With increasing use of smartphones by users, it is now somehow, mandatory to have a website design that is adaptive and responsive to mobile with an integrated user interface according to its screen size. According to a study conducted by an individual body, about 75% of the young population uses mobiles for online purchases. This is a big number and obviously major share in the market. But what does responsive eCommerce website development mean? Well, simply put, it means that e-commerce website or application will be developed primarily for mobile first and then made responsive or adaptive to larger screens like laptop or desktop. Visual effects are like the first impression and therefore needs proper attention. A research shows that on an average 93% people make purchases based on what they see. Now, this is again a big stats you can’t ignore. Customers always look for images of the product, brand or services you are offering. It makes it easy for them to make their decision. So, if you are going to get your e-commerce website developed, then, keep in mind to provide lists of images for users. Your e-commerce website developers can also guide you on the matter. Yes, users don’t like clicking to go on next page. They find scrolling down far better than clicking and waiting for next page to load. E-commerce website developed on long scroll medium have higher chances of getting better traffic and results. Up to early this year, long scroll pages were categorized by slow downloading speed, but with improvement in technology and internet speed, long scroll and faster loading of images or information of the page can now be easily achieved. This is again a crucial aspect if you are getting e-commerce website designed for mobile users or even a responsive website design. Typography is something that has been a trend for a while and I guess is about to stay.The only difference over the past year and prest has been the shift toward the use of flexible size and font or style. Typography has been much appreciated as it can easily be adjusted to different screen sizes. Use of Different sizes with varied color or calligraphy can be helpful in capturing different moods of the users. Well, now you know the primary e-commerce website trends you have to focus on; all you need is to undertake E-commerce Website Development Services. You can look for experienced and professional service providers through internet searches on yellow pages. But if you are specific about the quality of work then Maxtra Technologies’s e-commerce website development is the best for you. ← In-House or Outsourcing : Which is Better for Mobile App Development? Amazing article about e-commerce website development designing trends. It stands for maximum user comfort, efficient information delivery, effective brand building.